ACCOUNTING RESEARCH INSTITUTE (ARI HICoE) : Stolen Fruit is the Sweetest...? or the Bitterest...? 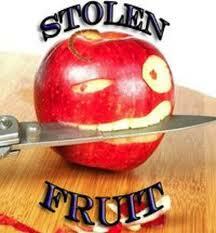 Stolen Fruit is the Sweetest...? or the Bitterest...? The title of this entry may sound a bit philosophical, but that will be the title of Prof Normah's (Director of the Accounting Research Institute ARI) upcoming Professorial Lecture which will be held on 1st November 2012 at Universiti Teknologi MARA. Financial Crime is in this case likened to "stolen fruit". If they are not caught for their crime, fraudsters may continue to enjoy their "fortune" - living in luxury or even get the "glamorous" attention somewhat like celebrities. In this case, "Stolen fruit is the sweetest...". Of course, crime doesn't pay, if they are caught, fraudsters will lose their dignity, reputation and their life. Professionals like accountants, auditors, company secretaries and lawyers must play their role to mitigate and prevent financial crime. Management on the other hand must remember that it is their responsibility to ensure credibility of the financial numbers. The professorial lecture will elaborate on financial statement fraud; role of auditors; role of management; standards and legislations governing financial statement fraud and fraud prevention mechanisms.